Here my guide to converting a T5 Lowline dash upto the Highline dash pod. Carry out a full scan with VCDS and save the scan, Then make adaption channel map select controller address 17 and change function to adaption, make sure you have a copy of the full scan and a copy of the adaption channel map and take a note of the mileage. Now we move onto VAG-Tacho, Connect to the dash pod and pull the pin number from the old cluster, While here I took a Eprom dump of the dash pod just incase. 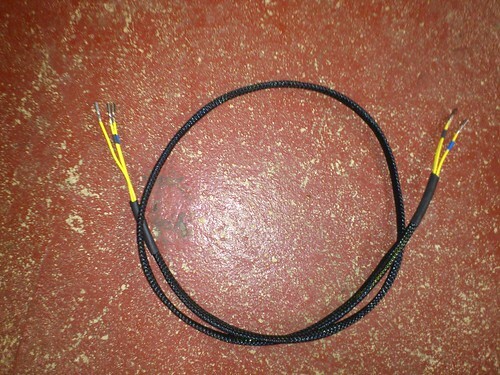 So in the end I used some VW repair wires and extended them to make the 3 wire loom – the part number is 000-979-018E and you need 3 off them. These 3 wires fit into the T41 connector on the back of the indicator switch pins 24-23-18, you have to be very neat fitting the wires otherwise the cover wont fit back on the wiring plug. Place the highline dashpod into the van and pop everything back together, Once back together reconnect the battery (make sure the battery is good and charged up), Start VCDS and select address 17 – instrument cluster. Select 07 – Recode and enter the 5 digit code from from your saved scan. Then choose 10 – Adaption then we choose channel 50 enter the 4 digit pin that VAG-Tacho pulled out but place a 0 before the pin number to make it 5 digits. Then click test and then save, exit back to the main screen and switch the ignition off wait at least 2 minuites. Switch the ignition select 17 – instrument cluster and now in the extra field should be you chassis number (VIN). Check you adaption file and in address 09 should be your mileage in KM (x1o) double check this is correct as you only get one chance of doing this!!!!! No select 17 – instrument cluster then 10 – Adaption then channel 09 enter the same value from the old cluster. Exit back out and your mileage should be the same as original. Now enter the numbers from adaption channels 40-45 from old to the new this keeps your service schedule the same. Now carry out a full scan and clear all the fault codes, check everything works. This is a guide to help you swap the dashpod to a Highline with MFA, This might not work on every T5 van, the info in this guide might not be correct please check before doing anything to your van! I’ve been running my van now and love the highline dashpod. I’ve been trying to get the radio display working and tried a Gamma radio but this still doesn’t work with my dashpod and now know I need a CAN BUS radio for the radio display in the dash to work. Nice work I’m currently trying this myself but I’m stuck with the PIN code. I looked at VAG Tacho but wasn’t sure if it work can you tell me which version I need as some don’t work 2005 T5’s? Any help would be really appreciated also did your outside temperature just work or did you have to install extra bits. Sorry to pester you like this but your my best shot at getting this done. Just been looking on ebay for vag-tacho but they all say up to 2004 mine is like yours 2005 where did you get yours from? My version 3.01 has worked with 3 transporters 04/54/05 plates, but didnt work with a 56 plate. Managed to get the pins from both dashpods no probs but I’m using vag 303 which asked for a 7-digit PIN/SKC do you know if that’s to do with my van or is it Vag? 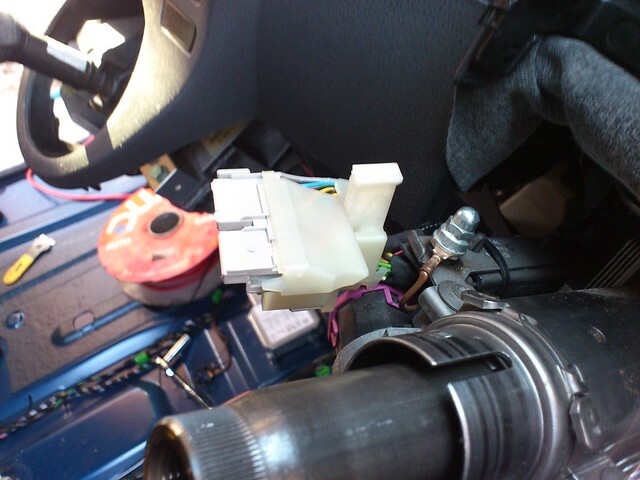 The NEW (USED) cluster is installed in the car. Battery voltage at least 12.0 V.
All relevant coding and adaptation values have been transferred from the OLD (ORIGINAL) cluster to the NEW (USED) cluster. 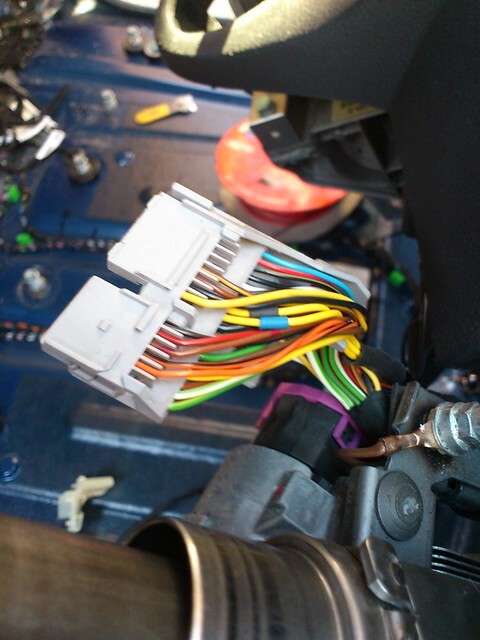 Immo 3 Audi vehicles typically use adaptation channels 060, 06 1and 062 for the internal installation list since they do not have address 19-CAN Gateway. If in question, run a complete Adaptation Control Module Map with the old module installed. 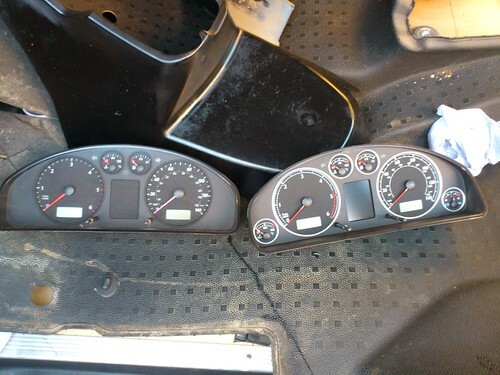 Make sure to have BOTH PIN’s, from the OLD (ORIGINAL) and the NEW (USED) instrument cluster. Make sure to have the Radio Code (for factory radios only). For the following procedure, use the PIN of the NEW (USED) instrument cluster. Enter zero followed by the 4-digit PIN directly in the Login field. For example, if your PIN is 1234, enter 01234. Enter 050 in “Channel Number”. For the following procedure, use the PIN of the OLD (ORIGINAL) instrument cluster. Enter zero followed by the 4-digit PIN directly in the New Value field. For example, if your PIN is 1234, enter 01234. Switch OFF the ignition and let the car sit for ~1 minute, then switch ON the ignition again. Verify that the NEW (USED) instrument cluster now shows the VIN/IMMO-ID of the vehicle now. Proceed with Key Matching now. Your and absolute star it’s mint, just need to sort the wiring now. I used 000-979-018E but 000-979-081EA will also work but are little more expensive as there gold plated. Good luck on connecting the radio, I check the wiring diagram and it looks like you need a radio that talks to the canbus system, which most single din units dont do. You have a wiring diagram…? I have in printed form, The Dashpod wiring is split between all the diagrams. About the radio to dashpod. My friend has a 04 van with factory satnav and full screen dashpod and it displays the radio and satnav info but I don’t think it’s canbus (not 100%) but would be interesting to identify the wires and look for differences. Any chance you could scan them or take a pic and then email them to me. Got all the buttons working on the dashpod it’s -2.5 outside lol I can’t thank you enough for your help. Just let me know if you want my email address, seen you on the t5 forum I can pm it to you. Tried it today but it didn’t work 🙁 my radio wouldn’t let me change it to 00005 it would only go as high as 00003 think it’s a bit to basic. I do have a radio from a Golf which has loads more pins on the back but I need the code for it as it was from a scrap yard. Don’t suppose you have a code calculator? Did you get the radio display to work with Gamma? I have a couple of ideas if not. Also have a couple of other questions. Check the clutch/brake pedal switches is working. I have a 2005 Caravelle with rns mfd sat nav and including the dis for dashpod navigation data. I had an overcharging alternator and the navigation module in the dis (dashpod) stopped showing the nav module, but still shows mileage clocks and temps etc. How do you reset the fault as it doesn’t appear in vagcom. Do you need vagtacho? Any advice please? OK.Thanks for advise. I will be back with the results. but i still would like some help here!Can you please help me if you have some spare time in order to do it together?I wish i was close to you but i am located in Greece which is a bit far from coming and doing it with you mate hahaha!My email address is ivasileiad@ote.gr or johnny_vasiliadis@hotmail.com in case you have already some info made up in a file!I will be looking forward to hearing news from you soon.Please excuse my will to send you an email just like that asking things from you.I just got so excited finding a specialist who’s got the skills for the job.I believe together we can do it! I can help you but I’m very busy at the moment. Best bet is to get hold of a copy of VAG-TACHO and see if it will retrieve the PIN(SKC) for you? I’ve found it to be a little fussy on what cars it talks too. From experience when I last did this on a VW, you need an extra cable to get the radio information to display on none canbus vehicles. the cables goes directly from the back of the clocks to the radio. Toby, do you have a photo of the rear of your clocks? I might be able to point you in the right direction. I’ve also been informed by another person that I need to wire up the 3LB wires from the radio to the dashpod. I have now fitted a early MFD1 radio to my van so will get this working then try putting the 3 extra wires in to see if that works. I am due to receive some T5 clocks with full height MFA tomorrow (Wanted the highline but just cant get hold of them!!) I will take some photos and get them over to you. 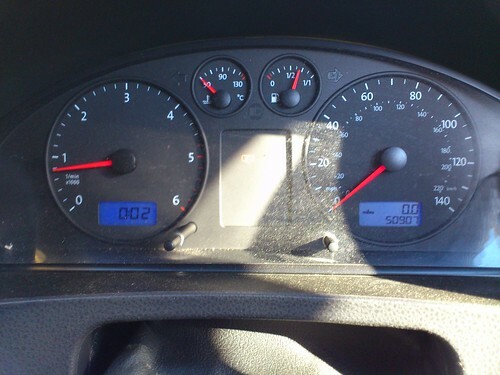 Hi just thought id let you know i installed a second hand instrument cluster today mine was only the half size display with fuel computer. I picked a cluster from the same aged vehicle and engine code, I only used Vag Tacho. I read my old Cluster with Vag Tacho and saved the file,I then installed the new cluster and used Vag Tacho again to install my saved file into the Cluster, I then followed your wiring diagram for the MFA stalk. I now have outside temp and fuel Computer Thanks for your guide. 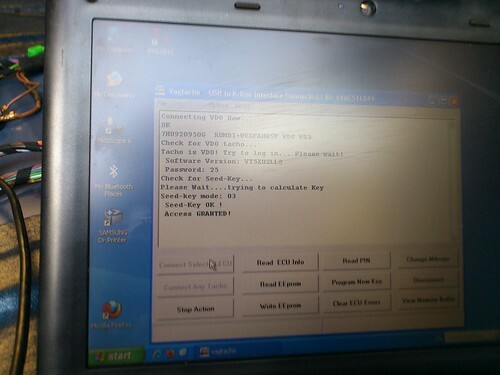 You cant copy and paste the Eeprom, you need to retrive the PIN (SKC) number and then use this to match the FIS dashpod to the van. If you copy the old Eeprom you will loose the code for the FIS to work. You really need Vag-Tacho and VCDS to do the conversion properly. Have bot pins retrieved from both instrument clusters with Vag Tacho. All required wiring done. 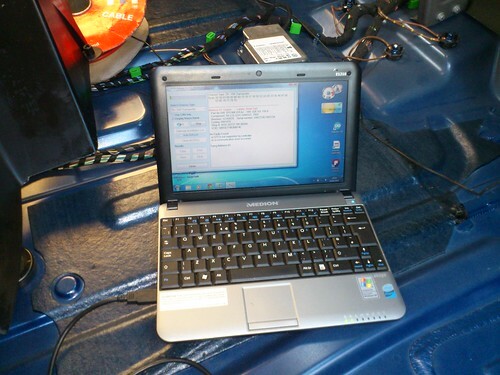 During immobiliser adaptation with VCDS (borrowed from pal, clone but works perfect) had Login Error with display message “login lost due to dropped session”. Just weird. Partial copy and paste with old to new looks like problem solution. Again thanks for reply. I am going to install Highline dashpod in my transporter T5 tomorrow. 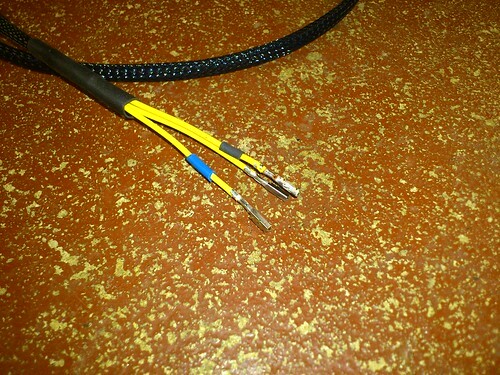 Or doesn’t it matter what cable/pin that goes from the indikator switch in to the green connector? As i see the new tacho has an oil temp gauge.Is it working to your car?I search mine with vcds and it came up that I have outside temp and oil temp.Did you check them to you? It you have a reading off oil temp in VCDS then a highline dash will display the oil temp. 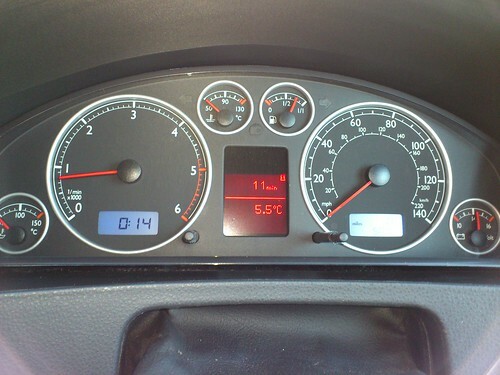 I have a 2009 on a 58 plate 2.5 tdi t5, wondering what clocks will fit, will passat tdi one fit? Do i need to look for a specific year or model number. I’m not sure on what other clocks will fit/work. VW Sharan ones look very similar but never tested. I just brought the brand new high line version that listed for my van. Obviously programming using your guide. The clocks are second hand so do I need any details for the vehicle they were removed from? To upgrade my T5 1.9 tdi 2003????? I brought a brand new highline cluster from VW for my van. Toby, I see from your early comments that you have not been able to find the connectors to fit VW multi way couplings. I have sourced some from Wurth, not used them yet but they match the ones that are on the VW repair wires that I have bought in the past. I suggest that you go into a Wurth outlet and ask if they have the sample card to compare with as the catalogue is a waste of time. My nearest is at Tipton in the West Midlands, the manager there is Neil Richards and is very helpful. I have brought all the connectors from wurth they list for a VW. I also have the VAG connector selection box from wurth but the connectors used in the dash appear to unique to the dash. Thank you for trying any information is appreciated. Will this work on a 2007 1.9 tdi it has outside temp probe on front bumper ?? Best option is to check the readings in vag-com (VCDS) 17-Instruments and make sure you have outside temp readings in there. The it should have what you need for it to work. Think it should be ok cause i can play about with milage ?? What are the part numbers off the dashpod in your van and the new one to fit in? It is almost imperceivable but there is a key on one side of the 0558 19022 to ensure correct orientation of the connector in the shell. Also remember that if you have a Purple section to the connector shell it will almost certainly be some sort of locking device that must be moved before a connector can be inserted / removed. The way in which this moves can be somewhat less than obvious! I am not saying that the above connectors fit the dash pod but I have used them on the BCM and dash switches successfully when wiring a HRW the correct way! 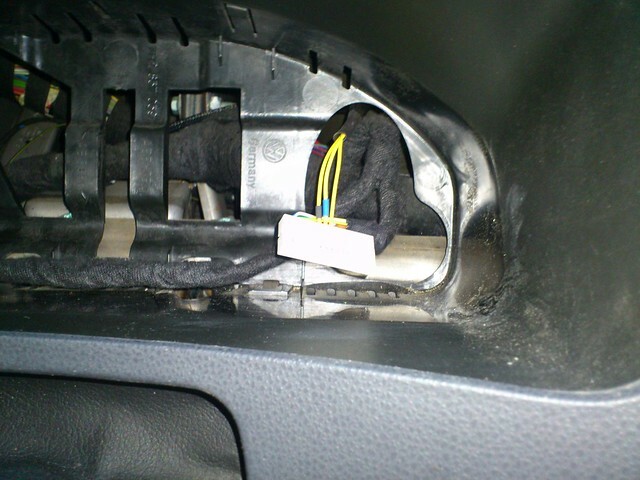 If you have a knowledgeable parts man in your Van Centre he should be able to identify which repair wires fit the dash pod connector shell. There is a section of ETKA that gives this info relating all options for a particular connector shell. When I did the conversion 4 years ago now I spent so much money on connectors trying to do it without using repair wires. I gave up and used the repair wires. Ill get some ordered and see what they look like. The micro power timer and junior power timer I have all the connectors for now. The micro power timer have the purple locking tab. If I fit the RCD510 will it work with a Highline cluster, as in show the radio display etc? Not without an adaptor as the T5 is Canbus TP1.6 and the RNS510 is Canbus TP2.0. Canshank used to make them but dont seems to be making them any more. Hi Toby, I need some assistance with a can bus upgrade on a T5 2.5 TDI 2008, Is this something you have knowledge about ? I know a bit, but it depends which Canbus system your changing. I don’t suppose you have a list of dash pod part numbers and their variances? The last letter is obviously a designation for variance. The coding should be selecting the same options fitted to your van. Most of the time it the same before/after the retrofit. What year is your van? And what coding do you have already? This is a cluster from Sharan? Nope this is a cluster from a Highline T5, I have to say the sharan cluster looks very similar but the icon will be wrong shape in the middle and not sure if there are any other problems? Toby, the part number of the T5 highline cluster would be helpful, can you add it to the blog post? Thank you, I have put highline tacho in my t5 and your tutorial was most helpful. I have a 2014 Leon tdi, and I want to put in the digital cockpit along with the mib2 nav system with full link, is there any chance you could help with e fitting and coding? The short answer is no. The 2014 model uses can bus and has component protection which needs a online geko connection to remove. You need to find someone with ODIS also the part if second hand can’t have a stolen marker against them or will refuse to program them in.